David Brabham and Scott Sharp led an Acura 1-2 sweep Saturday in the Acura Sports Car Challenge through the streets of St Petersburg in the American Le Mans Series. The veteran driving pair drove the No. 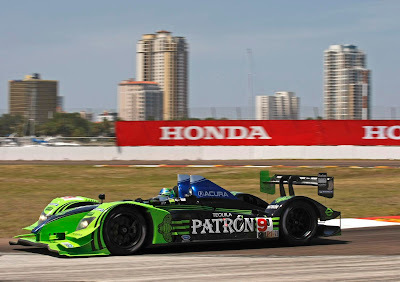 9 Patrón Highcroft Racing Acura ARX-02a prototype sports car to the lead on Lap 43 and recorded a 32-second victory over the Mexican duo of Adrian Fernandez and Luis Diaz in the No. 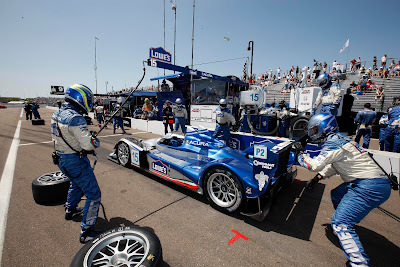 15 Lowe’s Fernandez Racing Acura ARX-01b in the 93-lap feature. The 1-2 Acura finish marked Acura's first ALMS sweep since last August in the streets of Detroit, when the automaker placed 1-2-3 overall. Saturday's Acura sweep also made American Le Mans Series history with Acura taking wins in both the LMP1 and LMP2 class in the same event. 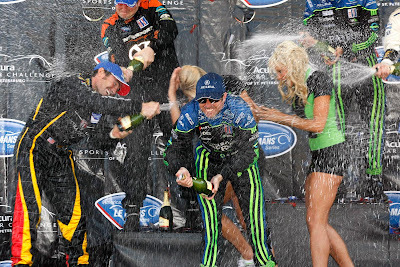 No auto manufacturer had accomplished that feat in ALMS’ ten years. 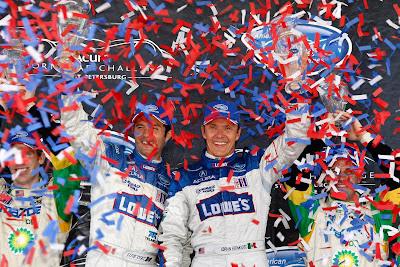 Brabham and Sharp's win was the first for Acura in the LMP1 class.